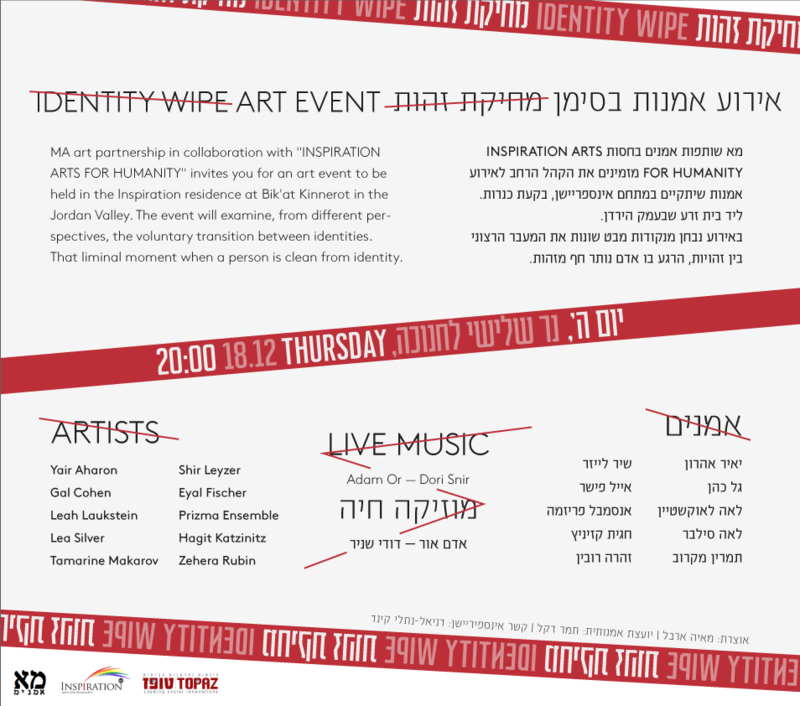 MA art partnership in collaboration with Inspiration -Art, Leadership and Social Change are happy to invite you to an art event at Inspiration center in Bik’at Kinnerot, on Thursday, 18 Decembet 2014, 8pm. The Event will examine, from different perspectives, voluntary transition between identities, the moment when a person is left devoid of identity. Free entry. Please join us.